London-based niche line Gallivant is back with two new fragrances, Amsterdam and Berlin, bringing its total of olfactory "urban explorations" to six. When I tried Gallivant's initial four scents, Brooklyn was the one that really won me over. (I wore it frequently last summer.) Now I'm intrigued by Amsterdam, "a genre-defying floral, spicy, woody, ambery fragrance" developed by perfumer Giorgia Navarra. Amsterdam's composition includes top notes of elemi, schinus molle CO2 extract, pepper and saffron; a heart of tulip and rose; and a base of cedar, musk, sandalwood and amber. Although I've never been to Amsterdam, I enjoyed reading this description as I was wearing the fragrance: “Autumn going into winter. The freedom of cycling, past the former spice warehouses of the Warmoesstraat to a canalside apartment on Prinsengracht on the elegant south side of the city. . . .Flowers in the window. Cake and feeling indulged. Beautifully made wooden furniture. Dark hues on the walls.” Gallivant promises that Amsterdam offers an element of gezellig, an untranslatable Dutch word suggesting places or experiences that are cozy and convivial. Notes-wise, pepper seems to be the star here. You might want to try this fragrance if you're a fan of Lalique Perles de Lalique (pepper, cedar and dark rose) or L'Artisan Parfumeur Poivre Piquant (pepper with honey and cream) — not that they're identical, but I'd group them together as comfortable-yet-chic pepper-themed scents. Here, the pepper is buoyant and smooth, and the saffron plays a quieter supporting role underneath it. The floral heart is very subtle. 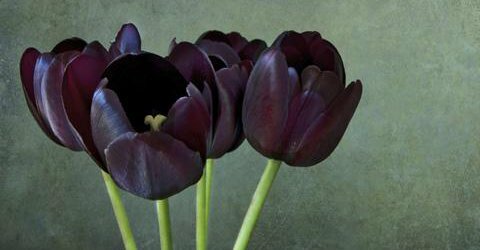 If you expect a sunlit tulip fragrance, that's not what you're going to get: these flowers are dusky and warm against their muted spicy-woody background. The base is very well-blended, so that no one note dominates. The overall mix of soft resins and woods feels "matte," rather than shiny (if you know what I mean?) and the far dry down is an understated woody musk. Despite its quiet feeling, Amsterdam has excellent longevity: when I applied it in the afternoon, it lasted through the evening and clung to my skin overnight. This fall I'm going to test out Amsterdam as my fragrance of choice for low-key sociable activities like drinks at our neighborhood bar or an evening of conversation at home with friends (gezellig! ); I can also imagine (when I finally recover from the broken ankle that's been holding me back!) wearing Amsterdam during a November stroll through Central Park or a solitary visit to the Metropolitan Museum of Art's Rembrandt galleries (in keeping with the Dutch theme). It's an ideal "sweater-weather" fragrance, in much the same way that Gallivant's Brooklyn reminded me of a stylish but versatile scarf — very wearable, deceptively understated, but high-quality and long-lasting. 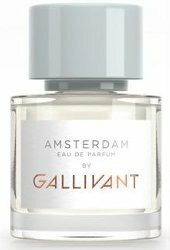 Gallivant Amsterdam is available in 30 ml Eau de Parfum ($95) at Luckyscent or Twisted Lily. Note: top image via Gallivant website. I think you’d like this brand, N! They’ll all gender-neutral, modern and smart but wearable…and the design is quite nice too. Thank you for this review. This whole line sounds very intriguing, and I love the small sizes. Me too! I love smaller bottles. And the packaging for this brand has a few clever little details like a paper-airplane logo and some passport-like “stamps” for the different cities. It’s such a treat to wake up on a cold morning and read another of your wonderful reviews. Thank you. I’m not sure that I like overly peppered perfumes ( the CDG one was too literal somehow, for me) but this perfume sounds terrific. I hope you make it to Rembrandt soon. Happy hopping! I’m glad you enjoyed! Yes, Dutch painting of the 17th century is one of my favorite areas to be a “tourist,” since I haven’t studied it much — I can just relax and look and enjoy!